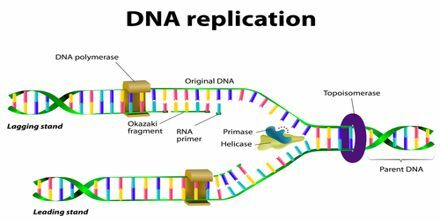 DNA replication is the process by which DNA makes a copy of itself during cell division. General objective of this lecture is to present on Replication of DNA. The in vitro synthesis of DNA was first accomplished by Arthur Kornberg and his coworkers in 1957. Kornberg received the Nobel prize in 1959 for this work. He isolated an enzyme from E.coli that catalyzes the covalent addition of nucleotides to preexisting DNA chains. Initially this enzyme is called DNA Polymerase or Kornberg enzyme, now known as DNA Polymerase I.